Join North Texas Comic Book Show for a Weekend of Comic Books and Cosplay. Get North Texas Comic Book Show Tickets, Get Maps, Get Schedules, Times and more. Get your Fan Expo Costumes & Accessories at Dallas Vintage Shop. 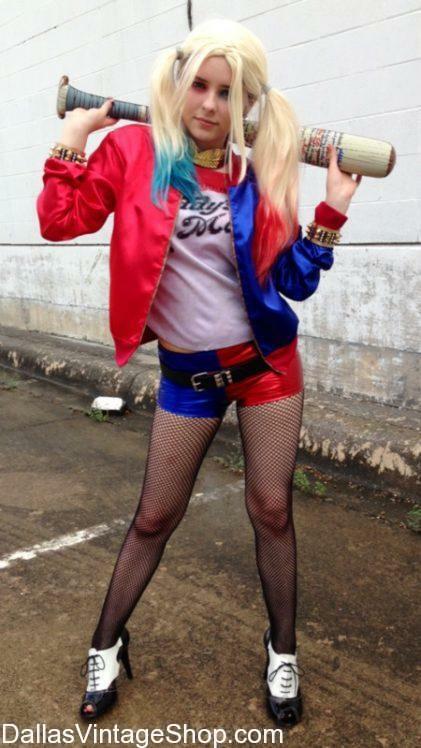 This Suicide Squad Harley Quinn Cosplay is only one example of 10’s of 1000’s of Complete Outfits you can assemble, on the spot, in our shop. Get Comic Book Characters, Super Heroes & Villains, Video Game Action Characters, Fantasy Garb, Weapons, Makeup, Prosthetics, Wigs and anything you can think of here.